This is lesson eight of a 10 ten-lesson course, Simple CodeIgniter App, which walks you through the creation of your first PHP web application using the CodeIgniter framework. We’ve spent a few previous lessons establishing our database and learning how to retrieve information from it, and now, it’s finally time to complete the circle and actually display some of that data! Ultimately, we’ll be creating a page to display a list of all of the todos in our database, as shown in the mockup below. and a view, to actually render and display the data. …which means we’re halfway there, as we already have a database and a model. Let’s go ahead and get all of the way there. The very first thing we need to do is create a controller so that we can get access to the data our model is helping us retrieve. This code should look familiar, as it’s the same exact shell for the Welcome controller we worked with back in lesson 6. 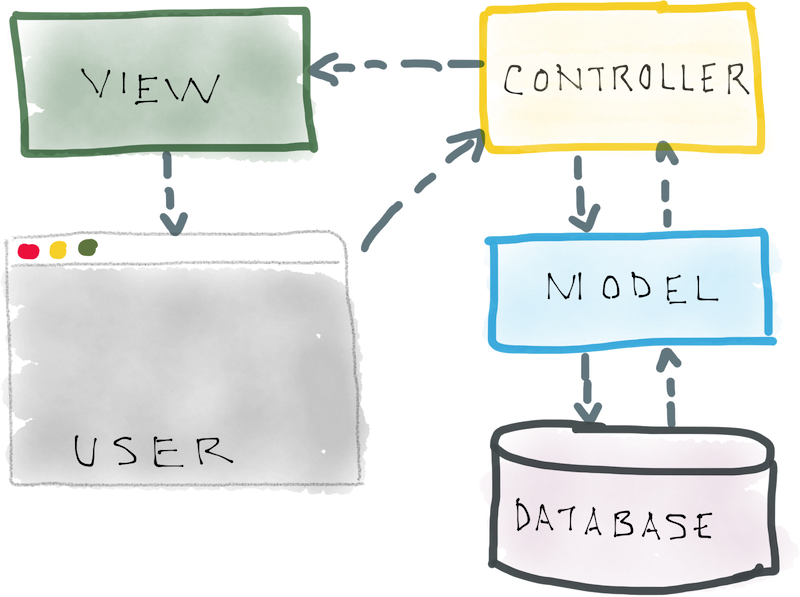 As a refresher, see the figure below, which depicts how information flows through our web app via the MVC pattern. Now we have our controller, but we still need to add a new action that can be associated with a specific URL, in order to eventually display our data on a page. As you can see based on the comments, there are three things we’ll need to do in our action: load the necessary data (via the Todo_model we established in lesson 7); make the data available to the view; load/render the view. 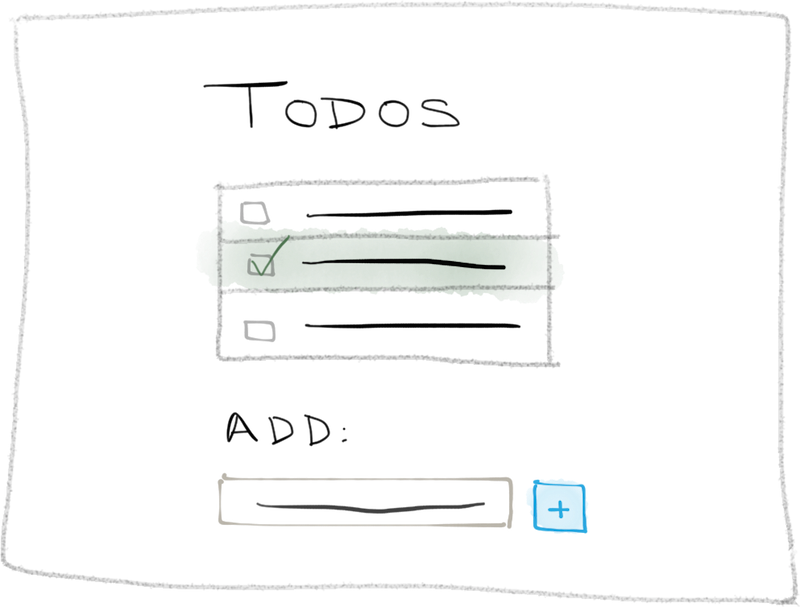 But before we can load our data from the Todo_model, we first need to create a way for our controller to communicate with our model, because right now, it doesn’t know how to do that. Just as in our model, in any controller in CI, you also have the ability to define a constructor that is executed every time the controller is accessed (such as when a user requests a page that’s managed by the controller). Since our goal is to load our model and make it available to all of the controller’s actions (even though there’s only one, now), a constructor is exactly what we need. And since it’s contained within the constructor, that means that all of our controller’s actions will have the ability to access it using $this->Todo_model, as we’ll see in just a minute. By loading our model in the constructor, we can now access it within our controller actions using $this->Todo_model. As you may already be aware, the code we just added makes a call to the get_all_entries function in our Todo_model and stores the entries retrieved in a new $all_todos variable. We have our todos stored in $all_todos. Great. But how will our view be able to access the todos? That’s exactly what we’re going to address right now. As you’ll see in step 3 when we load/render a view, we have the ability to pass it an array—a collection of items—that will be accessible within the view file itself. All we have to do, in preparation for loading our view, is create a new array, and add our todos to that array. Our new $data array now contains our todos, and we’ll be able to pass it to our view when we load it. Up to now, we’ve only dealt with views, such as the welcome index view, that contain static information — just some HTML that doesn’t require any additional data from database, or anything of the sort. This is the first time we’re dealing with a view that does require some dynamic data (i.e. from the database). And as you can see above, this is the first time we’re passing a second argument — the $data array containing our todos — to the load->view function. As you may have noted from the title of this lesson, this is Part 1 of a two-part lesson on displaying our data. As mentioned, in the next lesson, we’ll be building out the full todos index view, but this week’s task is for you to create the initial view file and make sure you can access it. Once you’ve completed the task leave a comment below with the two URLs you were able to use to access your new view. We’re on the home stretch! As always, feel free to send me an email or leave a comment with any questions.